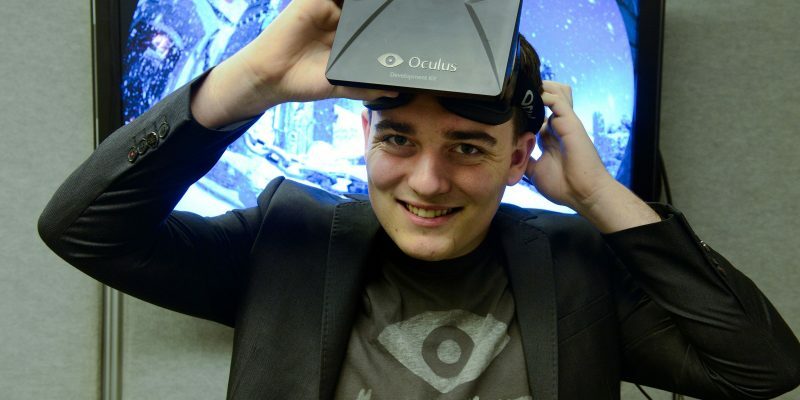 The Wall Street Journal reported Sunday that Palmer Luckey, co-founder of the virtual reality company, Oculus, was fired for donating $10,000 to an anti-Hillary Clinton group during the 2016 election. Six months after he made the donation, Luckey was put on leave and eventually fired from Facebook. Luckey, according to the Journal, has told people he was fired because of his support for Donald Trump. Internal emails reveal his donation and support for Trump were discussed “at the highest levels of the company.” Also, Facebook executives (including Zuckerberg) allegedly pressured Luckey to publicly support libertarian candidate Gary Johnson. According to one employee on an internal Facebook message board, multiple women had “teared up” in front of him over the news of Luckey’s donation and political affiliations. In October, Luckey told CNBC that it wasn’t his choice to leave the company. “I can’t talk about it too much, but I’ll say that it wasn’t my choice to leave,” he said. Facebook acquired Oculus, which makes virtual-reality headsets, for $2 billion in 2014. CNBC points out several controversies Facebook’s been embroiled in before and after the 2016 presidential election, and other high-profile departures from the company. Instagram co-founders Kevin Systrom and Mike Krieger and WhatsApp co-founder Jan Koum all left Facebook earlier this year. Luckey also discussed the political environment in Silicon Valley, where employees at companies like Google, Salesforce, and Microsoft have lobbied for these companies to end their contracts with the U.S. government. Luckey said that most in the tech industry want the government to use its products and support the U.S. military having better technology.